Community service can be a powerful piece of mitigation evidence used to help get the best possible result in court. In some cases a judge will order the defendant to complete community service as a requirement for a reduction of the charged offense. On other occasions, I will advise my clients to complete community service hours proactively in order to present the best case possible. Judges have differing standards when it comes to community services. Most if not all judges will be satisfied with your community service hours if completed according to the following guidelines. First, the community service must be completed for a non-profit organization. However, many judges adhere to strict prohibitions against doing community services for any school, church, or any other organization you are currently associated with. A few examples of suitable organizations would include Habitat for Humanity, Goodwill, or a local animal shelter. The second requirement for community services work deals with the reporting of the work. Many of the judges that I appear before regularly are extremely picky about how the community service should be documented and presented to the court. Ultimately, you will want to have the supervisor write a letter on a piece of the organizations letterhead describing the dates and hours you worked, a description of the work, and the total number of hours worked. Some judges even require this letter to be signed by the supervisor in front of a notary. 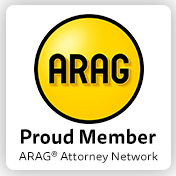 When choosing an attorney to represent you be sure to pick an attorney who is prepared to use all available resources in order to secure the best possible outcome. Many attorneys never request their clients to complete community service prior to their hearing, which I think is a big mistake. It is also important that you pick an attorney who is very familiar with the judges’ specific requirements and local rules of your court.